As people age, safety around the house becomes a top priority. There are any number of issues that can arise, from a slip-and-fall to being unable to get up and call for help. One of the primary culprits in these cases is the bathroom. With wet floors all over the place, a little extra help is often necessary to ensure the safety of some individuals. Of course, there is absolutely no shame in this. In fact, perhaps the most popular safety implement is the grab bar, which is being utilized by people of all ages all the time now. It is a simple, easy, and cost-effective solution for individuals seeking to add a further safety element to their bathroom without spending a fortune or redesigning their entire shower or tub in the process. Pro Tip: Get the fine folks at BathWraps to install bathroom grab bars for you… in one day! Just call 866-762-4436 for pricing and specials. Like a lot of people, you are probably imagining the less than attractive or desirable kind you sometimes see in nursing homes or at hospitals. Thankfully, that is no longer the case. 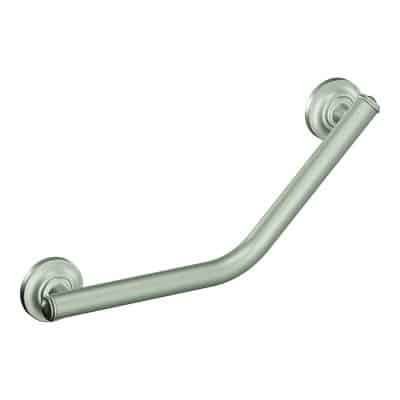 Grab bars of today are incredibly attractive and can be retrofitted to virtually any bathroom, regardless of age or design. Many hotels install them in every bathroom now, to give you some sense of how far they have in fact come. If you decide to have one installed, the number of options is practically endless. You can find one that suits everybody’s needs and design preferences. Horizontal, vertical, straight, rounded, bent, or arched. Fixed, sliding, attached at one or both ends. Silver, white, navy, or periwinkle. There is something for everyone. They’re a bit like snowflakes or fingerprints: no two are exactly the same. Pro Tip: You can have bathroom grab bars installed FOR YOU in ONE DAY by certified factory trained installers! Just call 866-762-4436 for pricing and specials. Who Can Use a Grab Bar? Whatever you decide to go with, it will undoubtedly help make you and your bathroom safer. 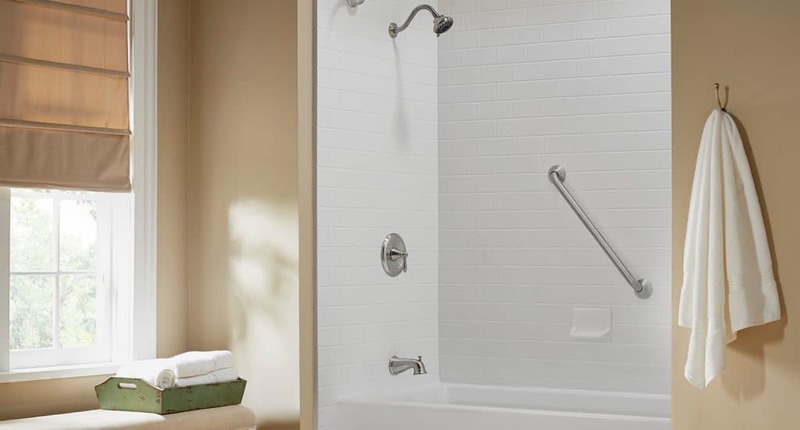 Regardless of who you are, your age, physical ability, or any other factor, chances are that installing a grab bar in your shower or tub will make your life a whole lot easier, too. Consider athletes whose workouts leave them so sore they can barely stand up. Grab bars can help. What about the twenty-something pregnant woman attempting to get out of the bath? Grab bars can help her, too. Injured in a car accident? Grab bars. Arthritis? Grab bars! You get the point. Basically, everyone on earth can benefit from a grab bar — and probably should have one installed! Pro Tip: Why install bathroom grab bars yourself, when you can have certified factory trained installers do it for you? Plus they are 100% Guaranteed! Just call 866-762-4436 for pricing and specials. With that said, we are going to take a look at the various types of grab bars that exist, their designs and functionalities. We’ll also learn all about their benefits and limitations and how easy or difficult they are to use, and why it is important to grab a bar (see what I did there?) that is compliant with the Americans with Disabilities Act. Additionally, we’ll get into the specifics of installing one (in just one day with the guys from BathWraps!) and why it is important to act now before you end up in a situation where the grab bar might just save your life. Finally, last but certainly not least, we’ll answer a few Frequently Asked Questions about grab bars, like how much insurance will help, and whether you should call a plumber. All this and more will be discovered below. So, without further ado, let’s take the plunge! There are so many grab bars that exist today. It can be overwhelming to sort through them all, much less to know which ones are best for you and your loved ones! So, let’s look at each kind in turn and discover exactly how they work and who can best benefit from them. There are two main kinds of grab bar and a huge assortment of different sub-varieties within each of these types. The first kind is the wall-mounted grab bar. They are incredibly stable and are fixed to the wall (or other surface) from each end. The flexibility they provide within their stability is highly desirable. You can put them pretty much anywhere in the tub or shower and have them angled in a straight line side-to-side, up-and-down, or at an angle. It is all up to you and how you will feel the most comfortable and secure when using it to pull up on or stabilize yourself in the bathroom. The second type is a partial wall-mounted grab bar. It is still attached to the wall, but it fastens at just one end instead of both sides. They make use of a hinge installed in the wall of the shower or above the bathtub. While they are not in use, they simply sit along the wall, and as soon as you need help, you can extend them to wherever is most easily accessible for you. Now, those are just the main categories. The number of variations and types can strike some as a bit daunting, like trying to choose a cereal at the grocery store nowadays. There are just too many options! But don’t run away just yet… I am going to guide you through many of the styles that are available with a brief description of each, so that you will be prepared to figure out what’s best for yourself, your spouse, and/or your loved ones. 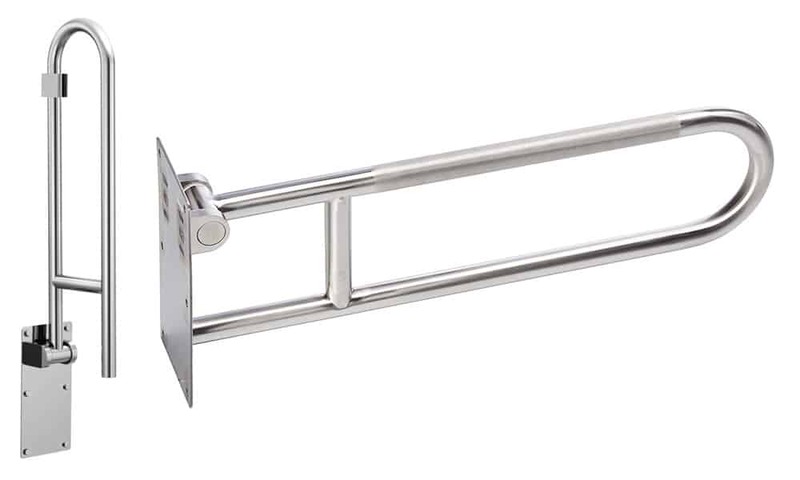 These straight-line grab bars are often installed in the shower or bathtub but can really be affixed anywhere they are needed. They are installed directly into the wall, which means they are as supportive and stable as they come. These are curved, so they can be grabbed at a horizontal or vertical orientation, as well as in the crook of the bar itself. 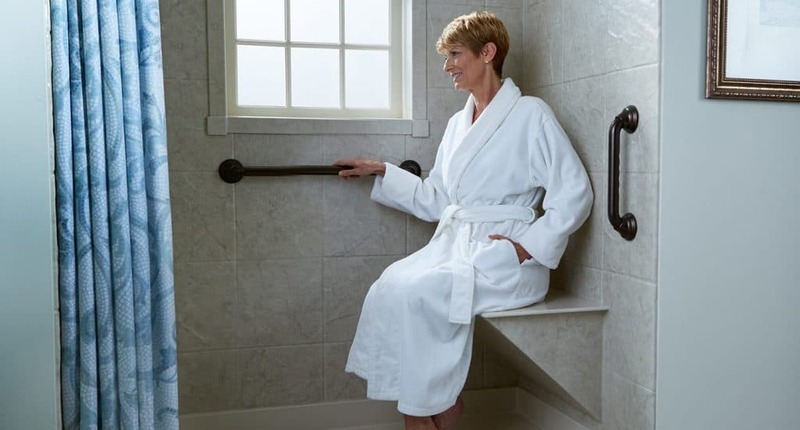 They are affixed directly to the shower or tub wall, so they provide an enormous amount of assistance to anyone with mobility or disability needs. Do you experience some amount of difficulty when getting in or out of the bathtub? Then you might want one of these guys. Because it is not installed into the wall, it must be made incredibly tight, or the grab bar itself will topple over, likely bringing you down with it. 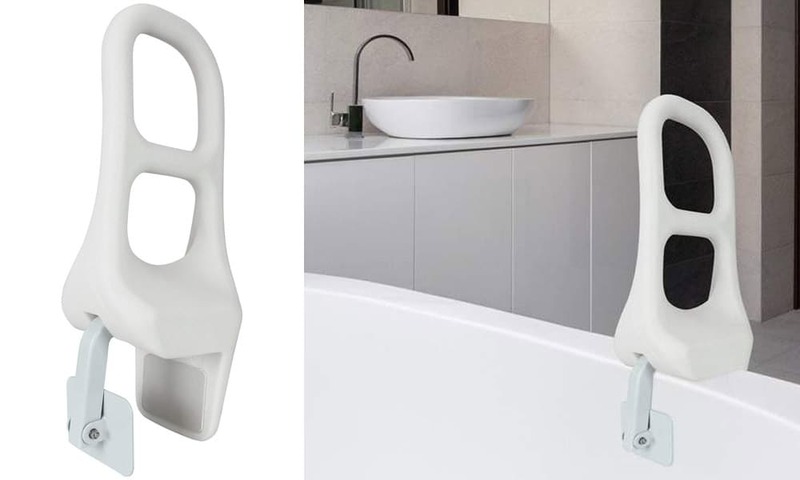 These bathtub grab bars are extremely easy to install yourself too! For the absolute maximum in security and support, you may want to consider a grab bar that is drilled into both the wall and either the floor or the ceiling. This creates two sturdy anchor points and an incredible amount of strength. A few of these types even provide an additional, smaller support beam that gives even further comfort and help when trying to pull yourself up or lower yourself down. These are the grab bars that require the least amount of work, but they also provide the smallest amount of support. If you aren’t able to drill into your wall due to housing restrictions or some other reason, consider getting a suction cup grab bar. These have suction cups at either end as opposed to screws. As such, they really do need to be affixed to a flat wall (in other words, not on tile, as this will not be the safest situation or solution). Flip bars are great because they can be repositioned to be out of the way whenever necessary. Like most bars, they are usually drilled into the wall for the safest possible outcome. 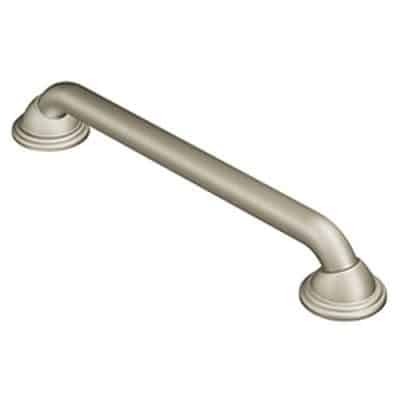 Lastly, if you are looking for a grab bar that is also a conversation piece, look no further. 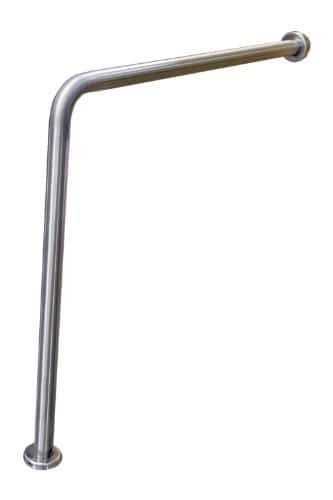 As I mentioned earlier, grab bars today now come in every size, color, or shape imaginable. If you want something traditional, modern, art deco, or anything else, there is almost definitely a grab bar with your name on it! 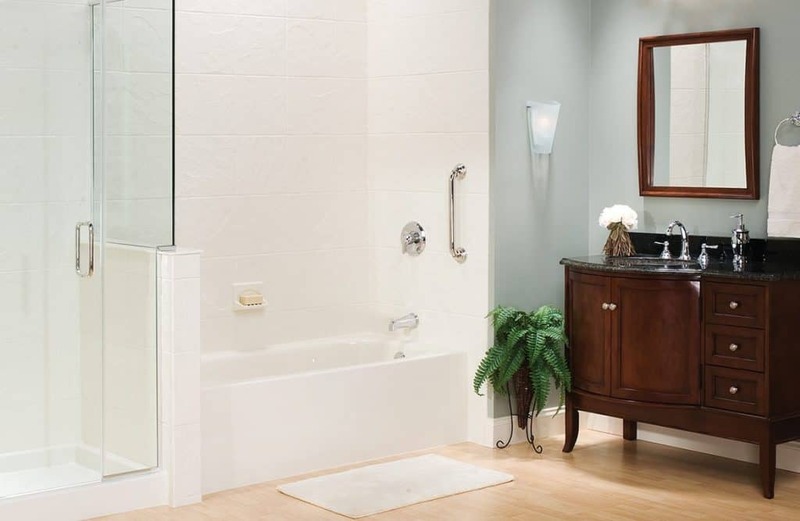 The need for a bathtub or shower grab bar is usually due to a general desire for more security and support when lowering or raising yourself into or out of the shower or bathtub. The bathroom is an especially precarious environment for older women, as they are often at a higher risk than their male counterparts for emergencies involving painful falls. This is likely due to muscle strength and bone mass differences between the sexes. As we age, it is more and more necessary to see that every available support structure is in place. For both women and men over the age of 65, it is more likely that a simple fall can lead to a serious injury, like a broken bone or a fractured hip. What many people don’t realize is that trying to stand after having been seated for an extended period of time, even more so if you haven’t consumed enough water or happen to be taking some kinds of med¬ication, may cause unexpected blood pressure drops, and these can lead difficulty standing on one’s own or even fainting. I don’t say any of this to scare you, but to encourage you to take full advantage of the benefits of safety pieces around your home, especially in the bathroom where floors are often wet and slippery, and where it can be very easy to lose your balance. The most important question that you can (and should) ask yourself is whether you currently feel safe getting in and out of the tub or shower every single time. If the answer is not a definitive yes, you should probably consider getting a bathroom grab bar. Bathroom grab bars are not all created equal, however, as we have learned. You should make sure that yours can hold up to at least 250 pounds. If you weigh more, make sure yours is approved for a higher weight limit. Further, the Americans with Disabilities Act (ADA) has certain (lengthy) requirements for the grab bar you choose to be compliant with its own safety regulations (for more information and lots of technical jargon see here). You will, of course, want to pick one that conforms to these standards and guidelines. The grab bar you have installed will need to have the configuration that the ADA recommends or better. This way, it will safely meet the specific practical requirements and the general well-being of yourself as an aging adult. All that being said, there are some limitations to grab bars. They will not be able to lift you up on their own. In other words, you will still need some amount of strength to raise or lower yourself within the confines of your own shower or bathtub. Of course, a grab bar will also not be as effective as someone like a nurse who is able to attend to your bathing and safety needs in a direct and intuitive way. But these are merely the limitations of anything that is not a human being by your side. 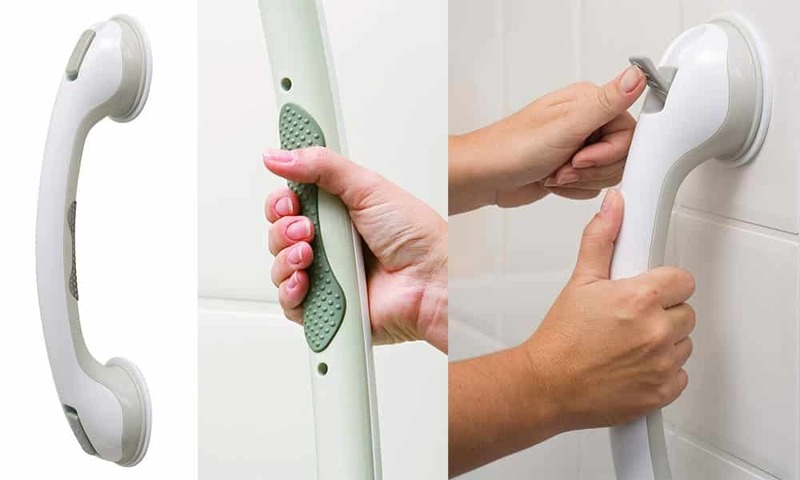 The grab bar is an excellent replacement (as well as a much cheaper one) to a stay-at-home nurse or caretaker for anyone that requires assistance in the bathroom. All this talk of choosing the right grab bar will amount to a hill of beans if it isn’t installed properly and securely, so let’s dig into some of those details as well as look at a suggestion for people that can do it for you. First, grab bars have to be affixed to the studs or blocking in your wall (the latter can be added if necessary) and at least a few inches off the wall to give your hand and fingers room to move in and out of freely. Do not install it directly into your sheetrock. This will eventually pull off the wall and can be a major safety hazard resulting in serious injury or worse. And make sure that the bar itself has a surface with texture, which makes it far more easily and comfortably gripped (you will be less likely to slip away from it while grabbing on). 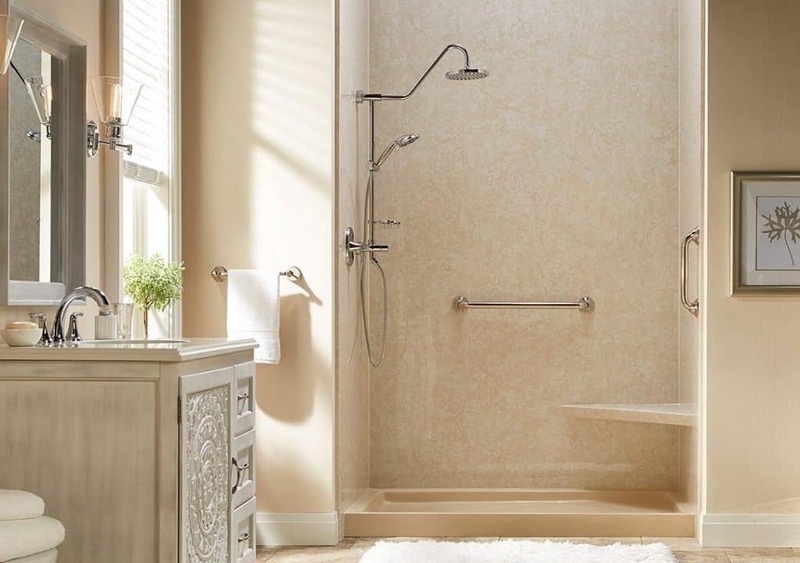 Of course, the value of having a grab bar installed is truly priceless if it helps to keep you safe and secure in the bathroom, a place we all visit multiple times every single day. But, I am sure that you will also want to know how much they cost and what it takes to get one installed, and there is very good news on that front! Call the Guys at Bath Wraps – Done-For-You! 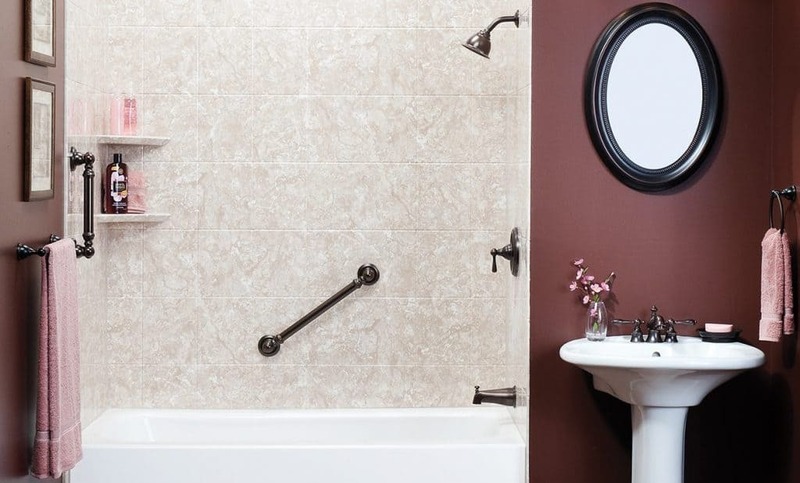 The guys over at Bath Wrap are the industry standard for installing bathroom grab bars safely, securely, and attractively in your shower or bathtub. They have ADA-compliant accessories and grab bars and will help you to completely customize a safe and reliable bathroom environment at home. With their certified factory trained installers, dealer support, and quick delivery, and guaranteed one-day installation, they can relieve all of your anxiety about showering or bathing, safeguard your independence, and discover the comfort and solace of taking a bath without even a hint of worry. To get a great pricing quote, call 1-866-762-4436. They will help you do everything that needs to get done, from start to finish, at a competitive price. Give them a call to create a safer and more secure bathroom today! Truly, installing safety grab bars in your shower and/or bathtub can be the difference in health and safety or danger and injury. The most important thing to keep in mind is that when your security is on the line, it pays to have the right people do the right thing at the right time. 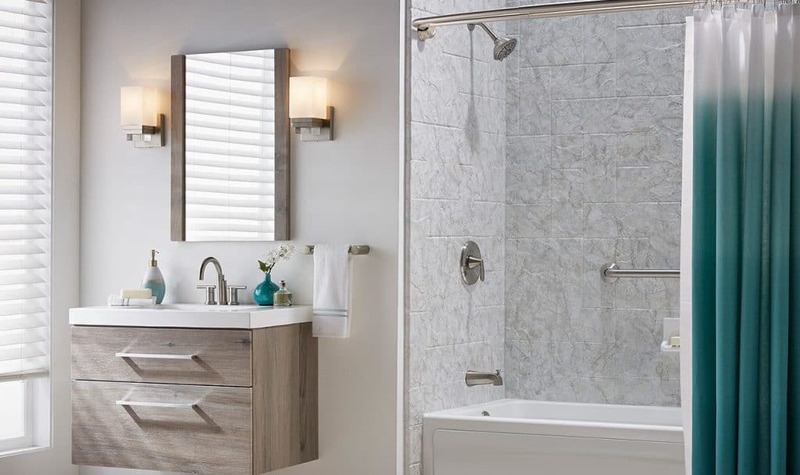 I sincerely hope that this piece helps you to create a safer and more secure bathroom in your home, and that if and when you do decide to get a grab bar, I really hope that you will get in contact with the guys at Bath Wraps to let them do the best possible job with your bathroom safety needs. 1. 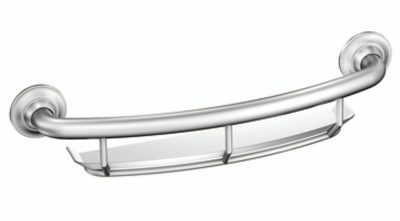 Will my insurance or Medicare cover grab bars? Insurance coverage varies from person to person and case to case. Generally speaking, though, Medicare will not cover the cost of grab bars. You would need to purchase supplemental insurance in order to have this covered. Some private insurance does cover the cost of medical needs in the bathroom like rails and bars, but some companies have restrictions. I recommend that you always speak to your insurance provider in order to learn what exactly will be covered regarding any medical supplies needed. 2. Are suction cup grab bars safe to use? 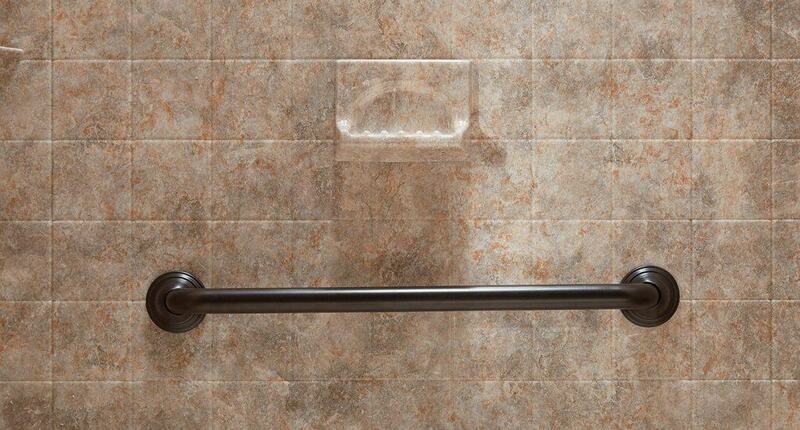 Suction cup grab bars are a no-hassle alternative to drilling into the wall of your bathroom. If possible, you should always opt for the more secure installation of drilling directly into the studs of your shower or bathtub walls. That said, if you have no way of doing so, suction cup grab bars can provide a certain amount of support. They are not as sturdy or reliable as those drilled into the wall itself, so they should probably not be used by those with serious mobility or disability needs. 3. Do plumbers install grab bars? In order to have grab bars installed, you will need someone with extensive experience. Plumbers can indeed perform grab bar installations, and many are highly qualified to do so. Even so, the most reputable company available today to help you with this sort of work and installation is Bath Wraps.